Graduated from Istanbul Technical University, Environmental Engineering Faculty which is one of the best universities in Turkey. But he was always addicted to Tango during his education. In 2010, he entered ‘Turkey Championship of TDSF’ (Turkish Dance and Sport Federation, the one and only official tournament in Turkey) and he took the first place (champion) with his partner. 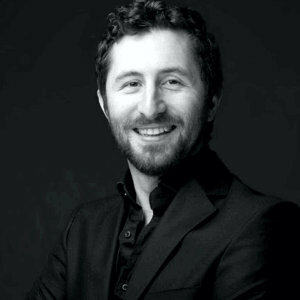 He is the co-founder of istanbul`s Biggest Tango School `istanbulTANGO` and co-organizer of `tanGO TO istanbul` the International Tango Festival. His essence of Tango includes respect of traditional Tango mixed with new innovations. His teaching style is combination based. He never gives only technical classes, he tries to help each person one by one to make their own way to find the right expression. He believes that there is no such one true in Tango dancing! 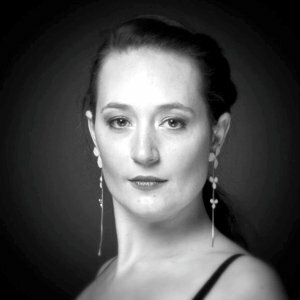 Vanessa began her dance education at a very young age and she keeps deepening her knowledge. Ballet gave her a strong basics and a serious sense of work. Latershe became interested in various and rich style of dance. Dancing being her true passion, she also developed interest in music by learning how to play piano. Besides her interest in art, she studied biology at Bordeaux University of Science and Technology and obtained her “DEUG” (Diplôme d’ Etudes Universitaire Générales) in 2002. Vanessa makes her first steps as a teacher assisting classes at Tangueando Bordeaux Arjantin Tango Association in 1996. Then, between 2000 & 2002, she teaches in France weekly Ballroom, Swing Salsa & Argentine Tango classes, and gives occasional workshops. In 2003 she attends Baila Tango school’s teachers team as Metin Yazır’s partner. Beside her regular classes in Istanbul she is invited as a guest teacher in many countries. Belgium, Canasa, Swiss (Geneva), Finland, France, Germany (Munih), Greece (Creta, Thessalonik), Hollande, New Zeeland, Norway, Turkey (Ankara, Izmir, Bursa, Eskisehir, Bodrum), US (New York, Boston, Washington DC, Chicago, Portland, San Diego). In 2006 she starts worksing as an independent teacher, creates BATA (Women’s Argentine Tango Program) and shares her experience with students from various schools: Bosphorus, Yildiz Technic and Galatasaray Universities, Malena, Montuno, Ewet, Dancentrum dance studios and from 2010 until today İstanbulTANGO dance school. After working together with some of the important instructors seperately, Eşref and Vanessa, both are accepted and respected as ones of the most important figures in Turkish tango history, came up to become partners as they discover the similarities of their perspective of tango and in a very short period of time, they have become a source of inspiration for many people. Their dance contains the elegance of the traditional tango as well as the innovative musical understanding of the new era. As teachers they find ways to help their students to discover and improve their own essance while they make it much more easier to learn all those things which seems to be complicated in a comfortable environment. Eşref has a background in engineering and Vanessa, who has been living a life full of dance since she was 5 (classical balet, ballroom dances, jazz, swing, salsa, tango), has a background in biology. Having their own experiences in science made them curious about the possibilities and gained them analytic approach. You can see these characteristics when you watch their unique dance full of surprises.